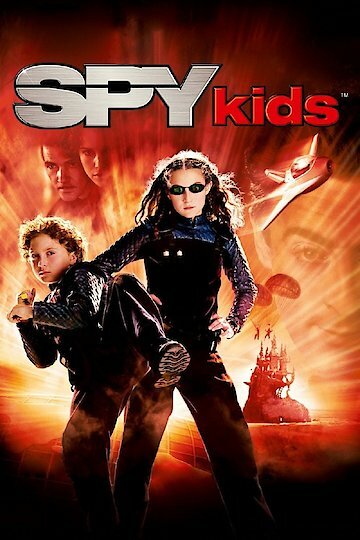 Spy Kids is a family film that came out in 2001. It is an action and science fiction related movie. Spy Kids is the story of two average kids who live with their parents. The kids think that their parents are boring, suburban types but what they really don’t know is that their parents used to be international spies and now they are retired because they wanted to have children. The children, Carmen and Juni, are typical kids. They are fans of a popular children’s program that their parents soon become suspicious of. Apparently, this kids TV program has been involved in the disappearance of several spies. Carmen and Juni’s parents head off to investigate the spies disappearance but they do not tell Carmen and Juni the truth about where they are going. Carmen and Juni are left in the care of a family friend, who it turns out, also used to be a spy. The host of the tv show, Floop, is a bad a guy and he ends up kidnapping Carmen and Juni’s parents. The kids find out that their parents have been kidnapped and why, and they set out to rescue them. Carmen and Juni find their uncle but he refuses to help them. Carmen and Juni face many other challenges when it comes to finding and rescuing their parents. They are forced to fly a plane and battle clones of themselves. Eventually, they find their parents and rescue them and then begin to free the other spies. Throughout the challenges that Carmen and Juni face, they learn the importance of family and of having a healthy brother and sister bond. When they complete their mission, their parents’ boss offers them jobs as spies. They decide the only way they will be spies is if the whole family can work together on missions. The boss agrees and thus the Spy Kids are born. The movie lasts for 88 minutes and its soundtrack has a mix of both English and Spanish songs. The film is directed towards families but with enough action to keep older kids and adults entertained. Spy Kids is currently available to watch and stream, download, buy on demand at Netflix, Amazon, Vudu, Google Play, FandangoNow, iTunes, YouTube VOD online.